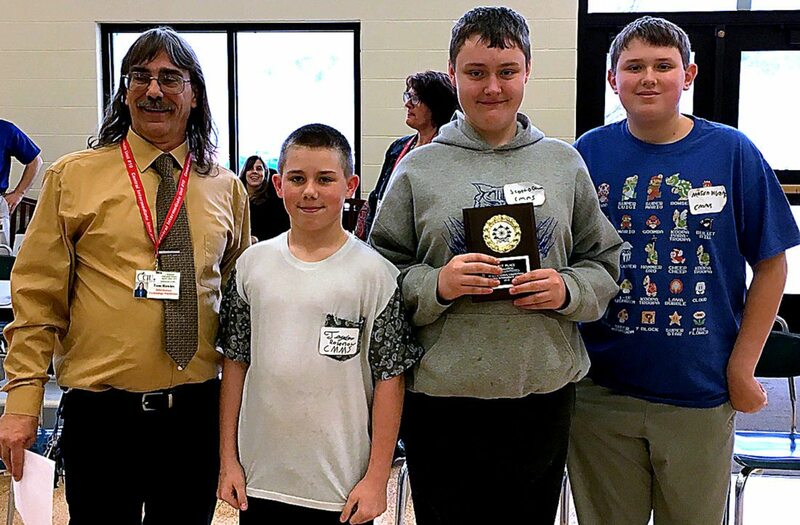 PHOTOS PROVIDED At top, Central Mountain Middle School “PacMan Animation” team are, from left, Taylor Rosenow, Scott Dodson, and Mason Hunter, shown with their 1st place plaque. At bottom, Bucktail High School’s “Bucktail News ‘18” team are, from left, Delmar Blackwell, Ty Snyder, and Katelyn Pick. Also pictured is Regional Computer Fair Coordinator, Tom Rowles with each group. WINGATE — Eleven Keystone Central students competed and six came home with top honors. It was Central Intermediate Unit #10’s annual Regional High School and Regional Middle School Computer Fairs on March 8, hosted at Bald Eagle Area High School. 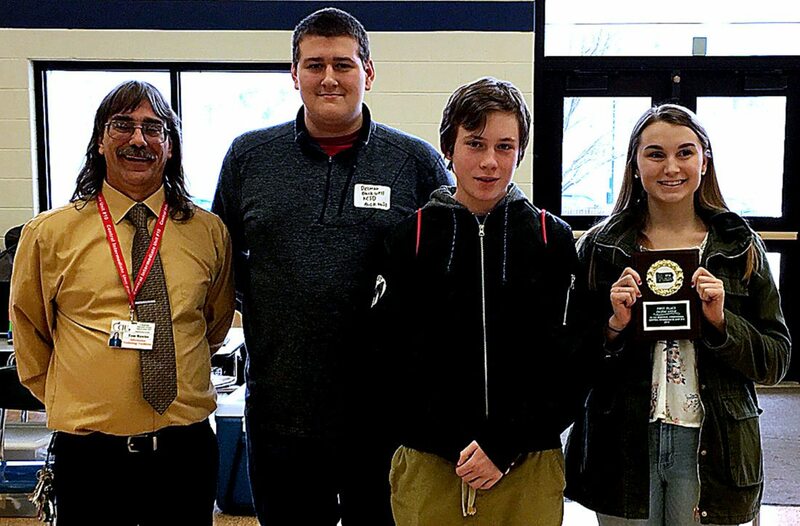 The two groups of students will now compete at the State High School Computer Fair held in Carlisle; Bucktail High School on May 22 and Central Mountain Middle School on May 23. Bucktail High School students on the team taking first place in digital movie with “Bucktail News ’18” are Katelyn Pick, Delmar Blackwell and Ty Snyder. r Computer Fair Logo “PA Fair Logo” — Trent Weaver, a student at Central Mountain High School. r Webpage Design “Labrek” — Isaac Range and Alex Little, students at Central Mountain High School. r Digital Movie “Long Face Larry” — Peyton Mincer and Zander Shearer, students at Central Mountain High School. KCSD coaches included Beth Keiser, Charles Nardi, Ed Choma, Luke Herron, and Robert Varholak. KCSD Network Supervisor Keith Kern served as one of 11 judges comprised of the CIU10 and participating school districts. The event was sponsored by Central Intermediate Unit #10 and supported by Penn State University and South Hills Business College. There were over 23 projects judged and a total of eight schools registered for the fair. During the competition, students had the chance to attend workshops and participate in hands-on experiences including Gravity Fall, Building Prosthetics, and Experiencing the Olympics.